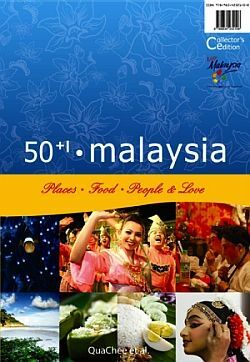 Malaysia, 50+1 years and loving it | Bluey Scheluwee & Co. I know I’ve said before that I don’t want to be anything other than me…but at times I do wish I was a human. This place we live in is so cool. I‘d be a human for a day just for the food and ambience and everything else that comes with this country called Malaysia. I could actually partake in all the wonderful glorious food that owner and her glutton human friends are often seen stuffing down their throats. I hate to think that I’m missing out on all this. I wish I could hang out at a mamak stall late nights, have teh tarik and rojak, while chatting with good friends. Wish I could savour the taste of a durian and find out for myself why everyone calls it King of fruits. All I’ve ever tasted is fish food…. *sigh* Little grains of tasteless grub. 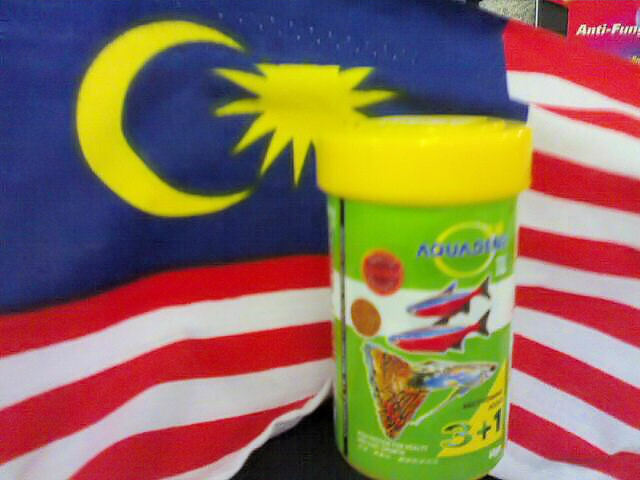 I wish I could join the proud crowds screaming Merdeka as Malaysia turns 50+1 on the midnight eve of independence day this year. I wish I could cry out ‘alamak!’ when I make a mistake or something…wish I could watch a live Mawi concert no matter how lame I find it is. I wish I could drape myself in the finest batik, heck I wish I could vote! Life is really good for owner and her human friends in this country, and though I’m confined in this little space, I’m really glad we’re all able to live in tolerance and harmony, brown black white yellow, man, fish, plant… at least we’re all happy in our own ways in this land of bounty.